Online privacy is a very important topic, so it’s very likely that you’ve heard about VPN (Virtual Private Network) services and wondered what they do. Our goal with this article is to demystify VPNs and list some of the best VPN services that you can use to bypass internet censorship and hide your real IP address in 2019. How Do I Choose a VPN? Don’t worry: you don’t have to be a seasoned network administrator or a hacker to protect your privacy online and maintain your data security. All you need is a reliable VPN service. Imagine the internet as an open highway that we all share to browse the web, watch movies online, listen to music, send emails and instant messages, and play games with friends and strangers around the world. The open nature of the internet means that everyone can see what everyone else is doing—just like you can see other cars driving on the highway next to you. Yes, some cars have tinted windows—just like some websites use HTTPS instead of HTTP to encrypt all communication between your browser and the website—but you can still see their license plates, which are akin to IP addresses attached to encrypted data packets. A VPN allows you to travel through your own tunnel that only you can access. Even though this tunnel extends over the public highway that is the internet, nobody can see what’s going on inside because it’s encrypted with the AES-256 encryption standard, which is approved by the National Security Agency for top secret information and military use. In most countries around the world, including the United States of America, it’s perfectly legal to use a VPN service to access the internet anonymously. Unfortunately, there are a few countries that have decided to severely restrict or even downright ban the use of VPN services, including North Korea, China, Turkey, Iraq, United Arab Emirates, Belarus, Oman, Russia, Iran, and Turkmenistan. Their reasons vary, but they usually have something to do with the desire of the government to keep taps on its citizens’ online activity. But just because you live in a country where VPNs are allowed doesn’t mean that you’re free to use them to illegal things. Anything that’s illegal without a VPN service remains illegal with one. There are probably hundreds of VPN services to choose from. While some VPN services target specific customers, such as those who are on a strict budget, most offer very similar features at very similar prices, making it difficult for people to know which VPN service they should choose. We recommend you first pick a budget and then create a list of VPN services that fit into it. Then, compare their features, study online reviews, and see which payment methods they accept. Most VPN services today offer at least a 7-day trial or 30 days money-back guarantee, so it doesn’t matter all that much if the first VPN service you pick ends up not working out for you. To help you get started, we’ve picked the top 7 best VPN services available in 2019 based on online reviews, objective metrics, and our own experience with them. If you’ve never used a VPN service before, you should start with NordVPN. Not only is NordVPN extremely affordable but it lets you secure up to 6 devices at the same time, not to mention that it works on virtually every platform under the sun. NordVPN has a worldwide presence, allowing you to connect to more than 5,000 servers in 62 countries. 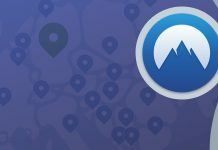 NordVPN is contantly expanding and strengthening its infrastructure, and it stands behind its customers with a 30-day money-back guarantee. VyprVPN is one of the world’s most trusted VPN services, and it has even passed an independent no-logs audit that evaluated its data retention practices and found absolutely no problems. VyprVPN uses a proprietary anti-blocking technology called Chamelion VPN, which allows it to defeat VPN-blocking even in China and other countries where VPN services typically don’t work. Not all VPN services allow peer-to-peer file sharing because of its high bandwidth demands, but IPVanish welcomes file sharing enthusiasts with open arms, offering fast speeds and online freedom at a price most people can easily afford. IPVanish provides unrestricted Internet access to every corner of the globe with its small army of more than 1,100 anonymous servers. The IPVanish app works on Windows, macOS, iOS, Android, Linux, Fire TV, Windows Phone, Chromebook, and some routers. Buffered VPN gives you many reasons to choose it over other VPN services. For starters, it works on Windows, Linux, macOS, iOS, Android, and routers, so you can really get your money’s worth regardless of which operating system you use. Buffered VPN doesn’t apply any bandwidth restrictions, making it perfect for demanding users who want to anonymously enjoy the internet without any limitations. ZenMate is used by over 45 million users to access the web securely, anonymously, and without restrictions. The service starts at just €2.05 per month, and you can pay with PayPal, credit and debit cards, SEPA bank transfer, or UnionPay. ZenMate has servers in more than 30 countries, and it’s one of only a few VPN services that guarantee access to online streaming sites. If you find a website that doesn’t work as it should with ZenMate, you can ask for a generous discount against your next payment as an apology. SurfEasy is a no-logs VPN service that you can try for free before you become a paying subscriber. It uses a proprietary Ad Tracker Blocker algorithm to intercept cookies from advertisers to stop them from following you around the web. SurfEasy is one of the highest-rated VPN apps both in the Google Play Store and the Apple App Store, and the service itself is just as good. Not everyone is lucky enough to live in a country where online freedoms are respected and protected by law. Even those who are may wish to hide their real IP addresses and route all data through an encrypted tunnel to make it impossible for unauthorized third parties to monitor their online activity. Fortunately, modern VPN services such as NordVPN make it easy to connect to the internet anonymously with a click of button and from any device.